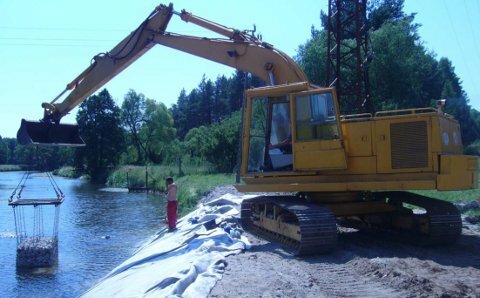 Gabion River and Stream Erosion benefits are..
1/ Rapid Construction with immediate use. 2/ Disipate flowing water energy. 3/ Semiflexible building blocks for channel stabilisation. 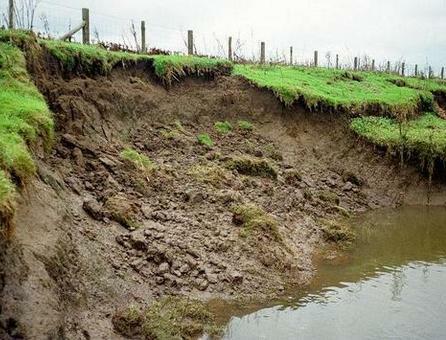 4/ Have an irregular surface to diffuse and reduce river bank scouring. 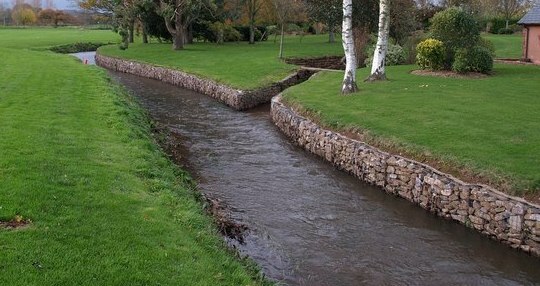 5/ Gabions use of smaller rock for river bank protection. When large rip rap is unavailable. 6/ Much cheaper, more flexible and greener than concrete. 7/ Can be installed in dry or wet conditions. 8/ Free draining, with no hydrostatic pressure issues. 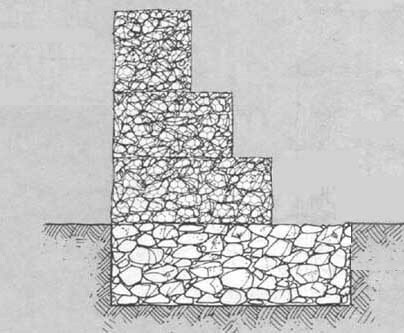 How Gabion Erosion cages work. The base layer of gabions should be placed below the expected maximum scour depth, or the toe can be protected with gabion mattresses. Gabion flood projection must be designed to cope with peak river flows often referred to to as 1 in 50yr floods. Gabions can be built in all weathers, the contractor has placed timber formwork to hold the gabions straight during machine filling. This wall also has a decorative stone on the face. Gabions can be pre filled and lowered into place, for immediate protection. 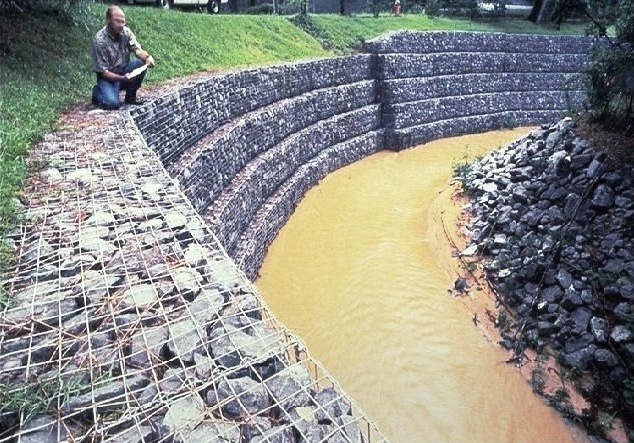 Gabions can flex to ground movement, dissipate energy from flowing water, and drain freely. Their strength and effectiveness may increase with time, as silt and vegetaion fill the voids, and reinforce the structure. In locations where high flood water velocities are expected, carrying woody debris and gravels in suspension, the stronger 4.5mm welded gabions are the preferred choice, to resist damage to the gabion structures during floods.